Those Wonderful Aussies are at it again!~ Love them! Fighting the Wind Scam! 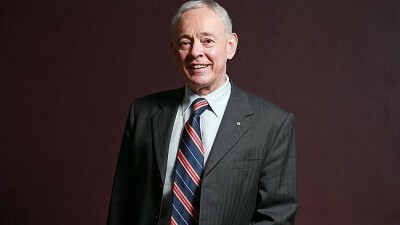 Bob Day is the Family First Senator for South Australia. He’s one of the good Senators sitting on the Senate’s Inquiry into the great wind power fraud; and he gets it. Here’s a recent press release from Bob which requires no further introduction or comment from us. Family First Senator for South Australia Bob Day marked the end of the contentious Renewable Energy Target (RET) debate by welcoming new government commitments on wind turbines: “For a long time Family First has been receiving complaints about wind turbines. When I was elected to the Senate in 2013 it became apparent that something needed to be done about this, so together with a number of Senate crossbenchers, I moved to establish a Senate inquiry. I have been deputy chair of this inquiry which has held hearings all over Australia,” he said. “In at least fifteen (15) countries around the world, people from all walks of life have come forward complaining about the health impacts of wind turbines – nausea, blurred vision, vertigo, tachycardia, high blood pressure, ear pressure, tinnitus, headache, exacerbated migraine disorders, sleep deprivation, motion sensitivity and inner ear damage. Many of these people initially welcomed turbines into their area. It has been found that the principal cause of these symptoms is ‘infrasound’ or low frequency noise which is emitted by wind turbines. People living up to 10 kilometres from turbines have been affected. 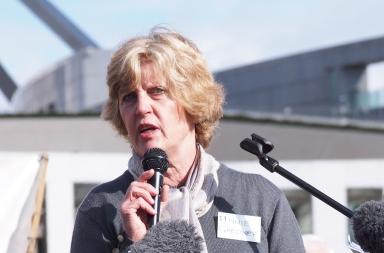 Acoustics experts, biologists, engineers, farmers, doctors, nurses, sleep experts, pharmacists and others have all come forward from throughout Australia and the world testifying about the impact that wind turbines have had on people’s lives. Only now are non-English speaking countries finding voice about the impact of turbines in their backyards. Yet the wind turbine industry and its environmental supporters all claim this is either a conspiracy driven by anti-wind activists or it’s all psychological and have at times treated these victims in an offensive, dismissive and uncompassionate fashion. Now, while STT feels no need to add to Bob’s solid presentation of plain, old common sense, we’re moved to allow STT Champion, Annie Gardner to respond in terms that can only turn up the heat. As soon as it hit the network, Annie forwarded Bob’s Press Statement to all and sundry among our political betters and journos, along with this pointed missive. I am forwarding to you all, Senator Bob Day’s recent Press Release, which outlines what the Senators have learnt since the Senate Inquiry into wind farms began hearings on 30th March 2015, in Portland. To date, I am aware at least seven hearings have been held, with another in Sydney next week, with no doubt more disturbing revelations which have till now been denied, and swept under the carpet. We thank Senator Day and his Senate Inquiry colleagues very much, for listening to so many rural Australians impacted by acoustic emissions from wind turbines, and for issuing, to begin with, the Interim Report from the Senate Inquiry, and for this Press Release, which really tells the TRUTH about what’s happening to thousands of innocent, hard-working rural Australians, the backbone of this country. No matter what the outcome of the Senate Inquiry, whether it is acted upon, or deliberately ignored due to close association or direct pressure from the wind industry, the evidence is “out there” that there definitely are health impacts caused by the acoustic emissions from wind turbines. We seize on Senator Day’s description of wind power as an energy “experiment”. We have heard wind power described in this manner on several occasions previously, and the impacted families here at Macarthur align this description as an “experiment,” side by side with the Nuremberg code. However, we DID NOT GIVE OUR INFORMED CONSENT to this energy “experiment” at the Macarthur Wind Factory. We had NO CHOICE in the matter. The Amended Renewable Energy Target passed in the Senate last week will ensure possibly double the amount of wind turbines constructed during the next four years, in order to reach this new target. As a result of this, thousands more rural Australians will be sentenced to a life of pain and suffering (without their consent) particularly as these new turbines will be considerably higher than the monsters here at Macarthur, and have far greater generating capacity, emitting far greater infrasound. 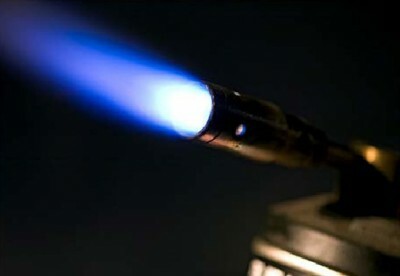 Those persons impacted as a result of this “energy experiment” will suffer ongoing sleep deprivation, as our families suffer constantly. Our sleep deprivation is most likely to increase with the most probable construction (thanks to the new RET deal) of yet another enormous wind farm to the north and east of our properties (Penshurst), literally surrounding our homes and farming properties with 365 monster turbines of at least 3, and possibly 4 megawatts (4 mw turbines never having been used in Australia before). Sleep deprivation is recognised as TORTURE, by the UN Committee against Torture. The truth is emerging ….. countries such as the United Kingdom and Germany realise this and are taking action, whilst Australia is foolishly forging ahead with the very damaging Amended Renewable Energy Target, despite being warned ….. the consequences will be disastrous, both physically and financially, opening the door for what would appear to be, inevitable litigation. Australia, Events- upcoming!, Faux-green, fighting wind turbines, Noise & Infrasound, not financially feasible, Return to sanity!